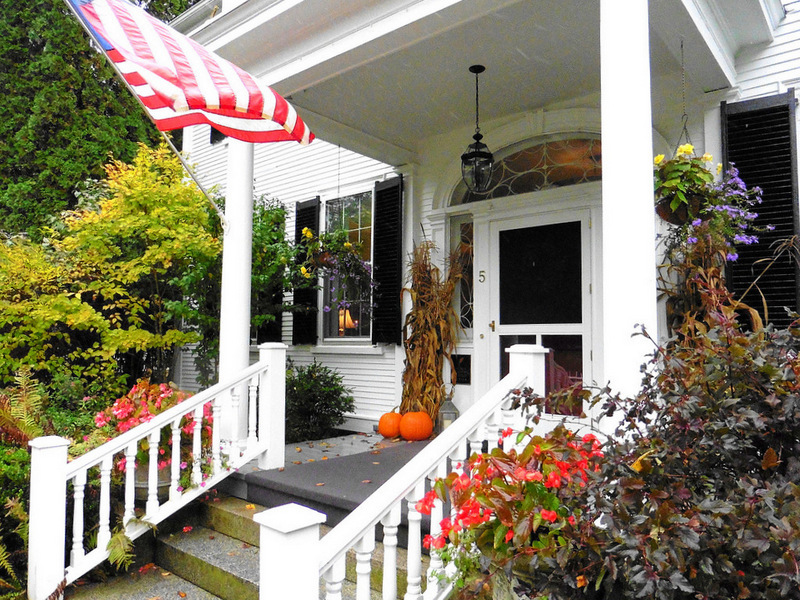 We were making an autumnal writing swing through New England and the surrounding states, visiting some of the regions finest B&Bs and resorts. 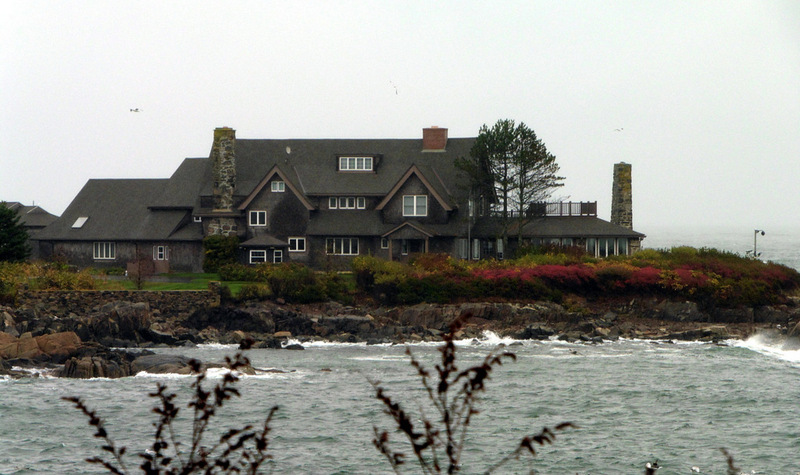 A week or so into our trip, we hit a nor’easter just outside Cape Elizabeth, Maine, the home of our next destination. 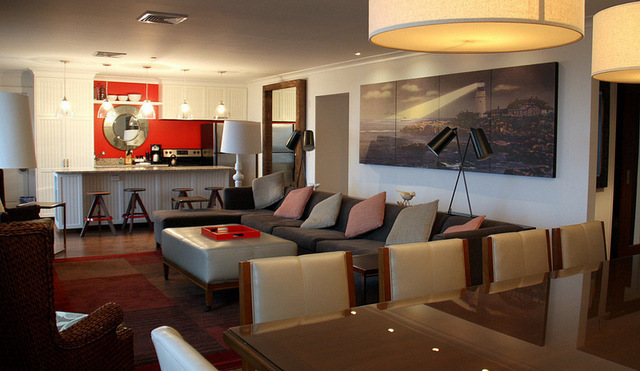 We found that a few days in a storm can be great fun – if you happen to be staying at the inspirational Inn by the Sea. 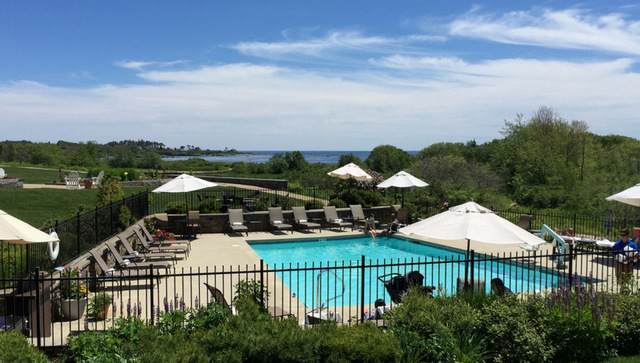 The Inn by the Sea is an eco-luxury, pet friendly, beachy rustic resort, located on mile-long Crescent Beach, a short 7 miles from Portland, Maine. As we drove up to the inn’s portico, the wind was lashing the entry plants to and fro, and the rain was bouncing off our rental car hood like miniature ping pong balls. We waited a few minutes, then made a dash for the front door. 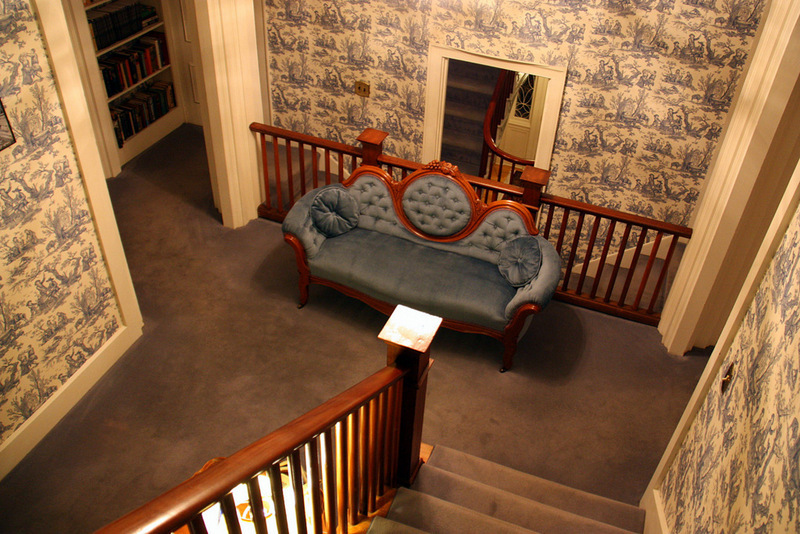 What a comfort to be inside the well-appointed lobby and right next to the registration desk. 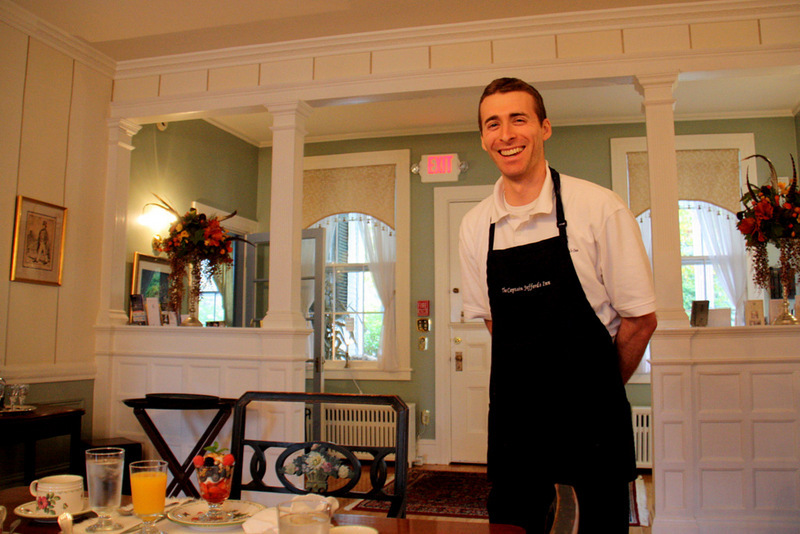 The staff attitude at the Inn by the Sea was the first thing we noticed. Smiling faces everywhere, even on this dark and dreary day – how refreshing. 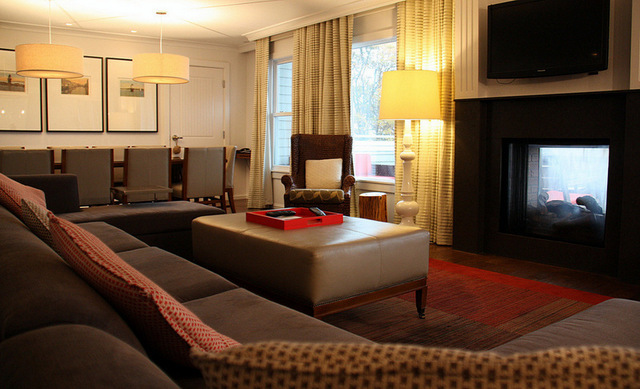 There are 61 diverse guestrooms, suites, and cottages to choose from in this luxurious Four Diamond property. In a matter of minutes we were escorted to our second floor suite overlooking the ocean — we think, but it was raining so hard that we couldn’t see much of anything beyond the dense vegetation below our balcony. 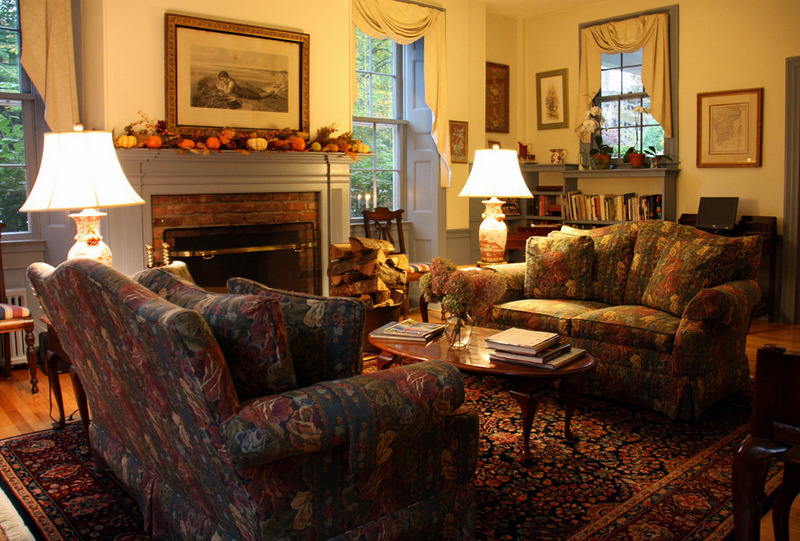 Before long the fireplace was making a cozy room even cozier. 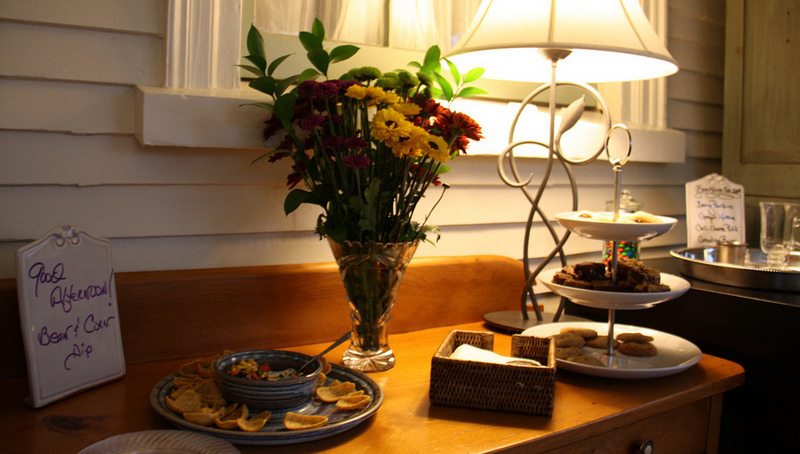 A pot of tea from the well-stocked kitchen and we were ready to snuggle-in. We nestled-down in front of the fire and the chill quickly left our bones. We had arrived, and were happy to be dry and comfortably situated in our weekend retreat. 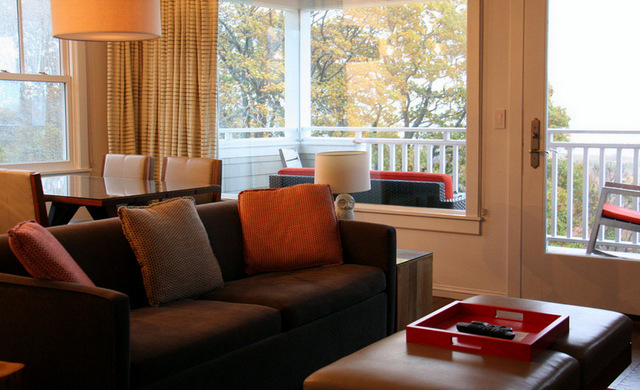 We took several photos of our one-bedroom suite, and the larger two-bedroom suite next door. 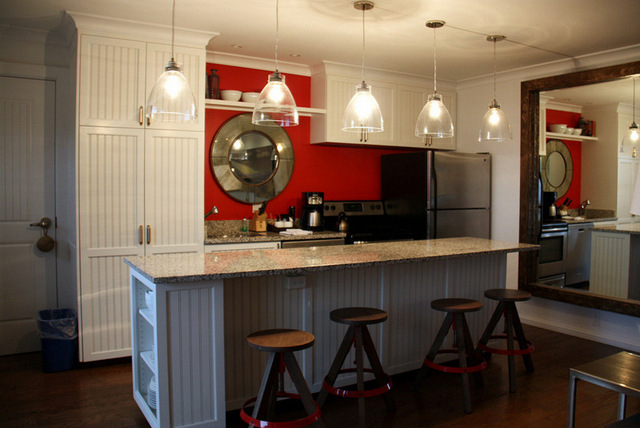 Both were spacious, spotlessly clean, and furnished in a tasteful beachy mode – very open and inviting. 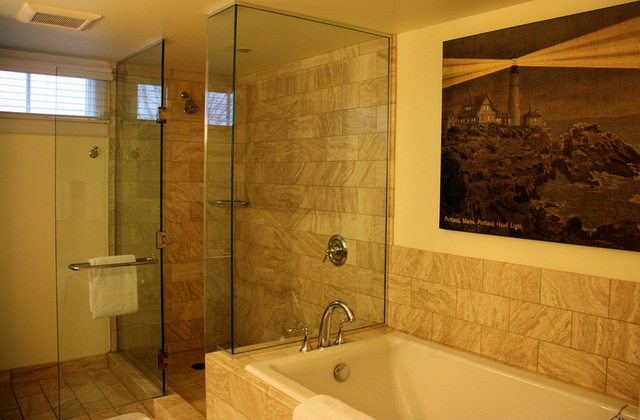 The bathrooms were especially noteworthy, quite large and airy. Not so much. 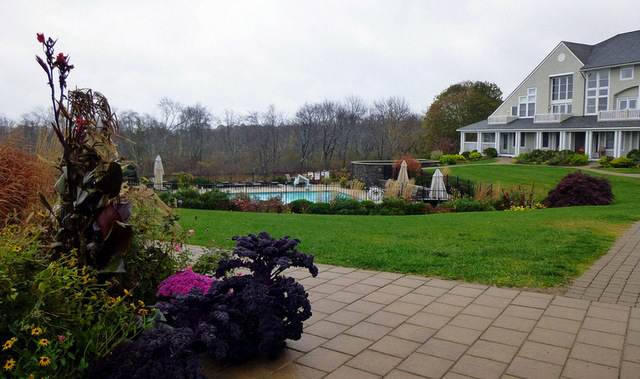 We could tell that the grounds were lovely, but the heavy rains were relentless, so we were only able to shoot a few photos in-between downpours. It is not our usual practice to use stock images, but the sunny outside pictures in this article (like the one above) are all courtesy of the resort. Named a top ten American green Hotel by MSNBC and Forbes Traveler, this socially conscious resort practices what it preaches. Like growing attractive and sustainable edibles just outside the back patio. Non-indigenous plants had overgrown and choked out local vegetation and wildlife in the brush area between the inn and the beach. The inn assumed responsibility for removing the offending species, and replacing them with indigenous plants. Also benefiting from the flora project was an endangered Cottontail Rabbit species being squeezed out of its habitat by the invasive vegetation. 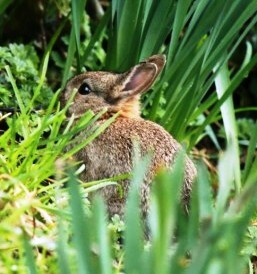 The inn created a ‘Rabitat’ in the brush that soon had the bunnies hopping for joy – all to the delight of inn guests who now see them running about during their trek to the beach (the guests not the rabbits). That’s biodiversity in action! 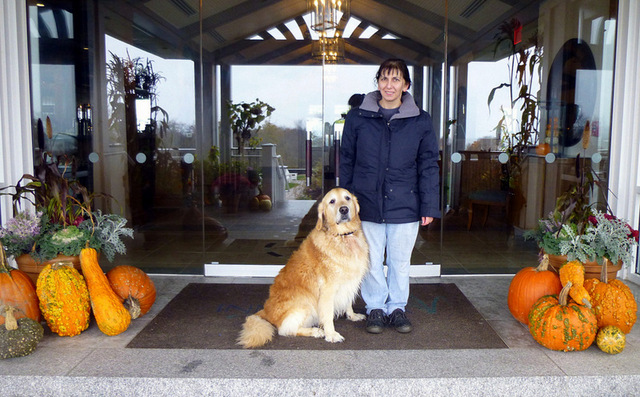 The Inn by the Sea invites guests to bring their canine companions on vacation. The big news is that there is no extra charge for the doggie guests! 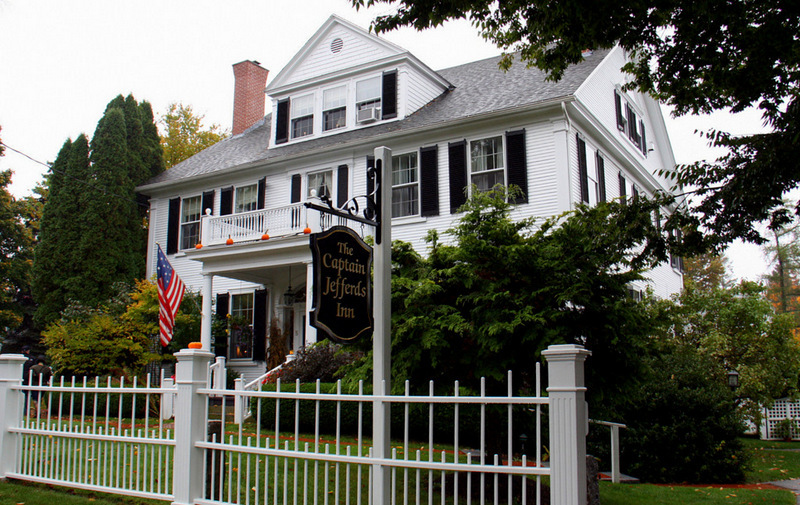 Just tell the inn that you will be accompanied by a canine family member, and request a pet-friendly room. 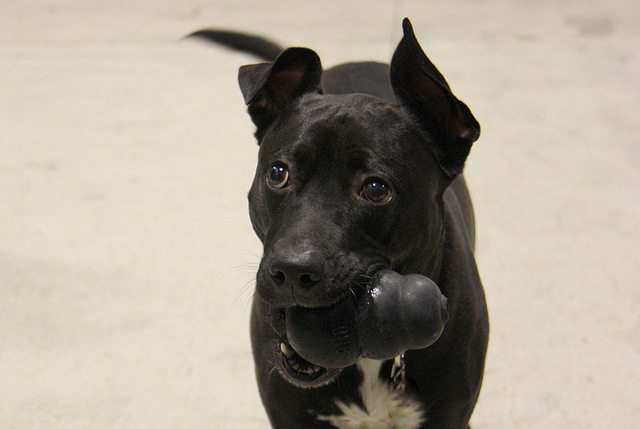 Not only that, but Bowser and Bowsie are treated to water bowls, beach towels, cozy blankets – and treats at turndown. There are also grooming services, pet massages, gourmet pet menus, a dog walking service, and a doggie day care for additional fees. How about that pet fans! There’s also a Foster Dog Program where the inn works with the local animal refuge and keeps a foster dog at the inn until it is adopted. They currently have their 11th dog in house. What a great idea! 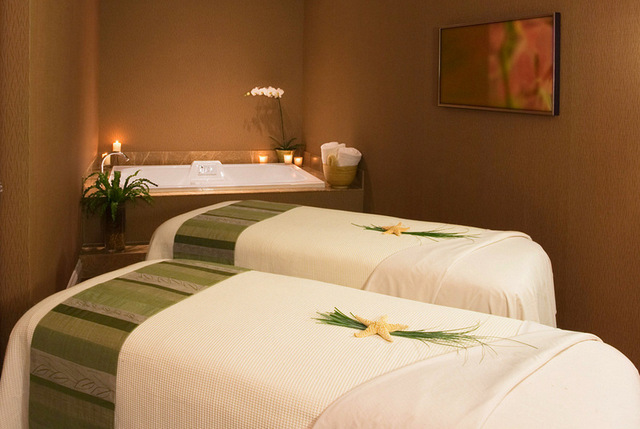 There’s a wonderful SPA to help you relax, refresh and rejuvenate. For tension relief, try the Deep Tissue Massage – one hour is just enough. 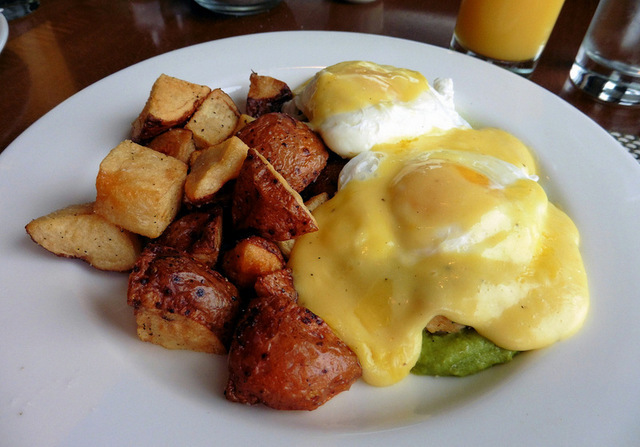 The Sea Glass Restaurant, and nearby lobby bar, have great views and memorable meals created by Chef Steve Sicinski. Chef Steve, who is classically trained by Cordon Bleu, believes food should be about taste and health – but also be playful and energetic. His attitude makes for some delightfully delicious combinations. 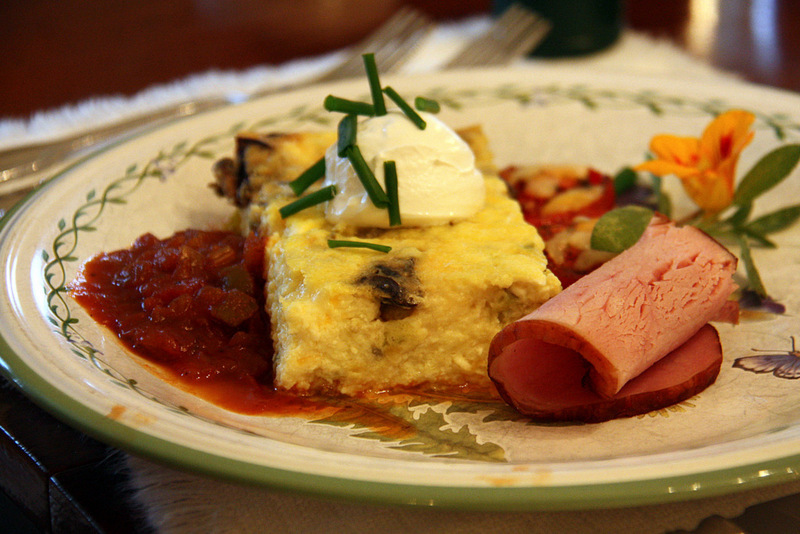 How about this hearty and delectable breakfast! 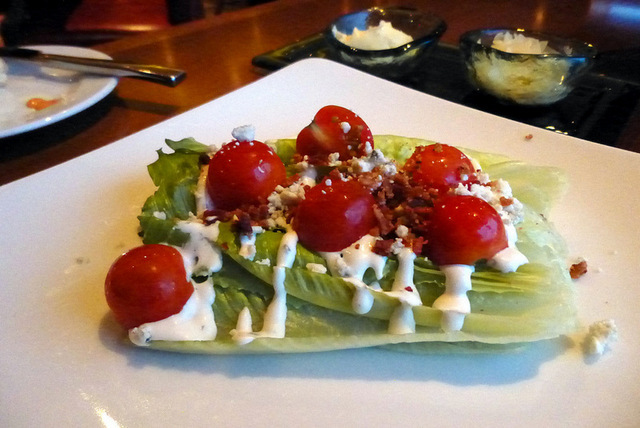 Or a succulent variation of the “Wedge,” with Romaine Lettuce, Apple Bacon crumbs, Cherry Tomatoes, and Blue Cheese with homemade Ranch Dressing. 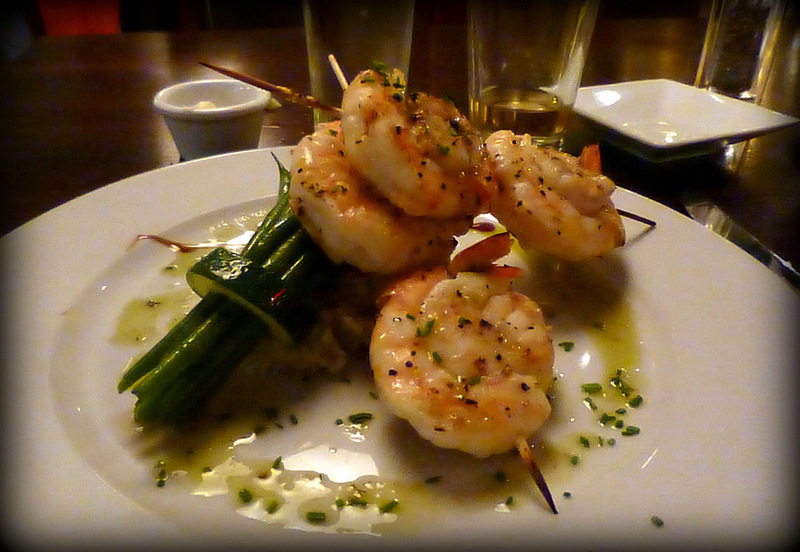 Everything we ate left us satisfied and gratified. Opps, almost forgot the dessert. 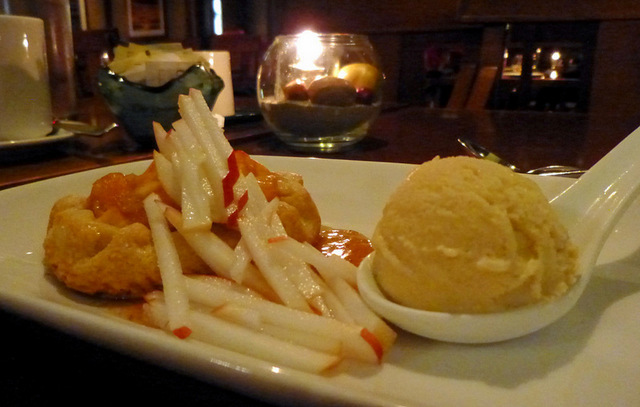 Apple Galette with roasted Apple Gelato, crisp Apple Salad, and Cider Caramel. Yummy! One unusual aspect of growing food for his tables is Chef Sicinski’s working partnership with Cultivation Works a social enterprise that teaches people with disabilities to grow fresh, healthy produce in a sustainable way. 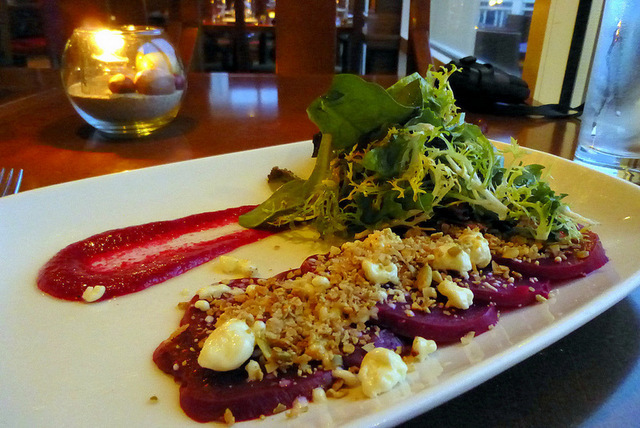 The chef can handpick salad ingredients such as baby pea sprout tendrils, baby beet tops, cilantro, and other herbs and produce grown in 11” by 22” flats in the inn’s kitchen that were started by the Cultivation Works’ “Teenie Greenie” farmers. “Challenged adults come to the Cultivation Works’ greenhouses to learn about good agricultural practices.” They grow their micro greens with non-GMO seeds and organic soil. The program helps develop practical skills for sustainable farming, and the producers gain confidence in their abilities. This is a wonderful program. Learn more about it here. 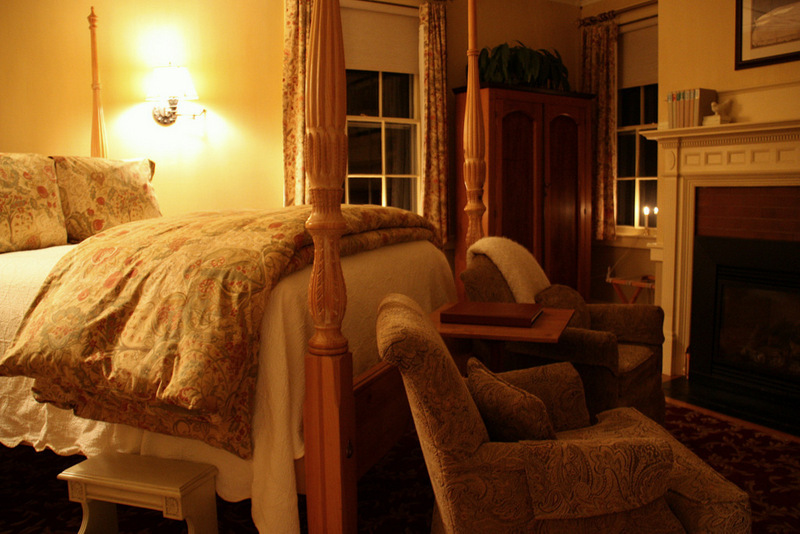 The remainder of our days at the Inn by the Sea were spent tasting great dishes at Sea Glass, chatting with the other guests, enjoying the fire in the hearth, listening to the rain, and catching up on some good books. It was soul-settling, and we so enjoyed the change of pace. 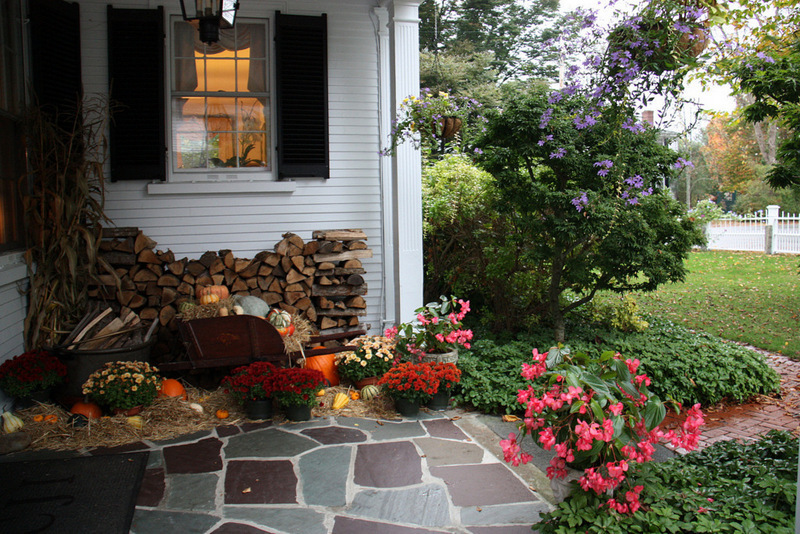 We reckon there’s not a better place to spend rainy days in Maine. 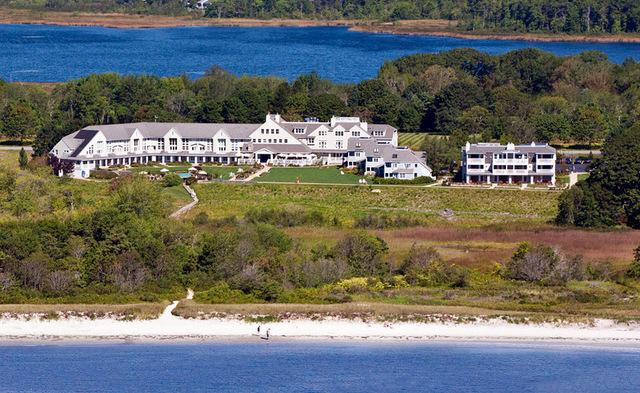 The Inn by the Sea has been selected for recognition for Conde Nast’s Gold, and Travel & Leisure’s Best Hotels in the World. 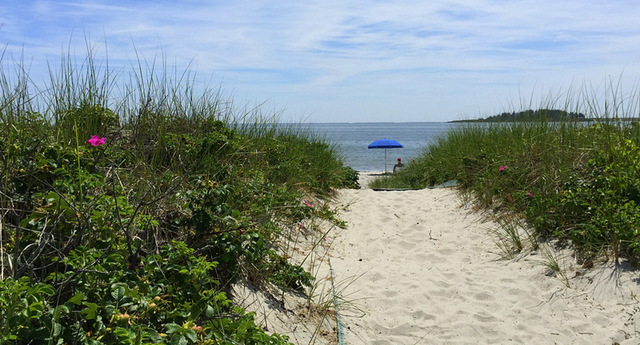 It is Maine’s premier beach destination, and for that, and all the other reasons mentioned, we recommend it highly. 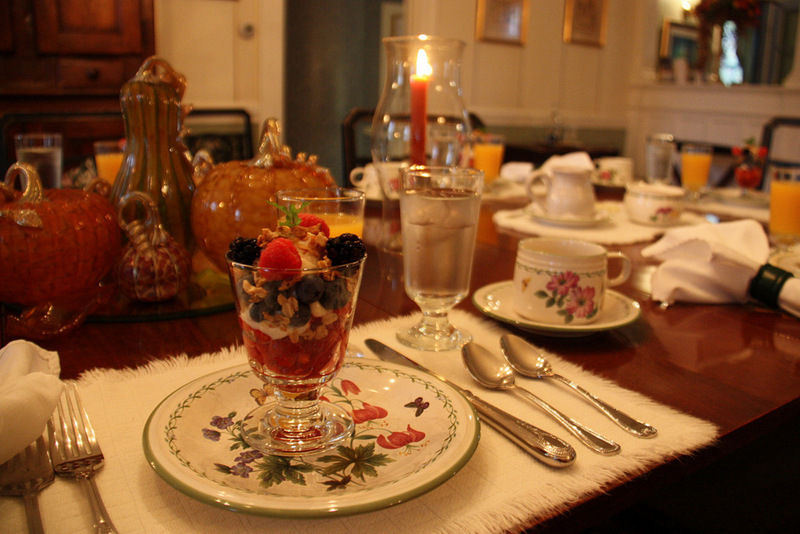 For more information about the Inn by the Sea, click here. 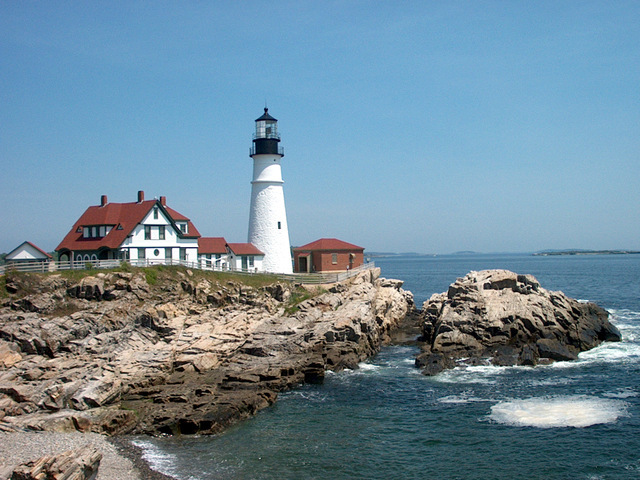 For general tourist information about the area including the famous Portland Head Light, look here. 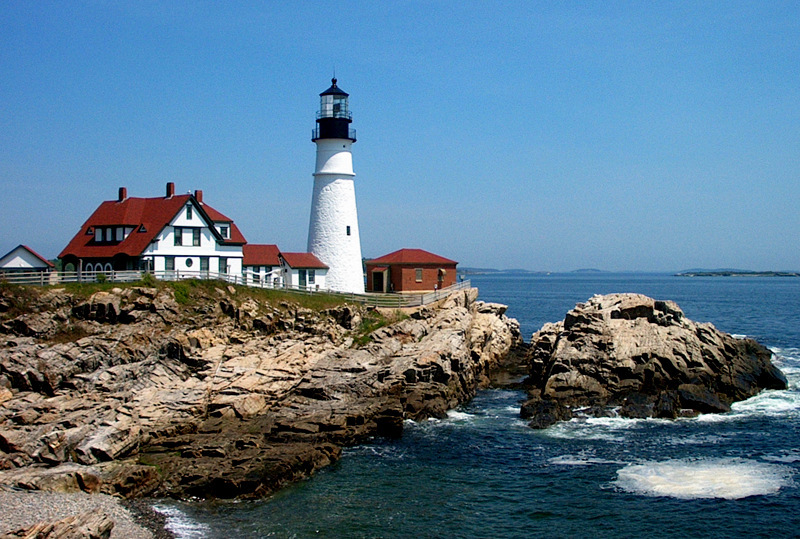 Pack up the kids and dogs and take a beautiful ride to Cape Elizabeth, Maine. If you aren’t driving, Portland is serviced by major airlines and Amtrak. 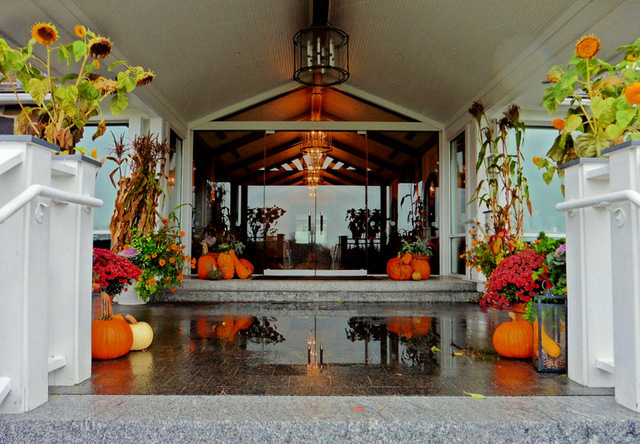 You might pray for sun on your vacation, but even in the rain, you can have a wonderful time at the Inn by the Sea! Copyright © 2015 Visit great vacation destinations with Wayne and Judy Bayliff. Photos Unless otherwise noted – Copyright © 2015 Judy Bayliff – unauthorized use strictly prohibited. The wind roars through the sails and the sea sweeps the decks and all would be mariners get the thrill of a lifetime racing the waves in the open ocean. For a truly unique vacation that the entire family will enjoy – try a tall ship adventure. Boarding any great sailing ship is like taking a giant step back in time. Life’s tempo changes the moment you set foot on the weathered deck and hear the sheets lightly tapping high in the rigging. Serenity replaces stress as you listen to the quiet creaking of the wooden giant quiescent in a slightly undulating sea – but hoist the sails up the masts and point her into the wind, and that serenity becomes instant exhilaration as the mighty ship moves forward and the bow begins to plunge into the oncoming ocean. 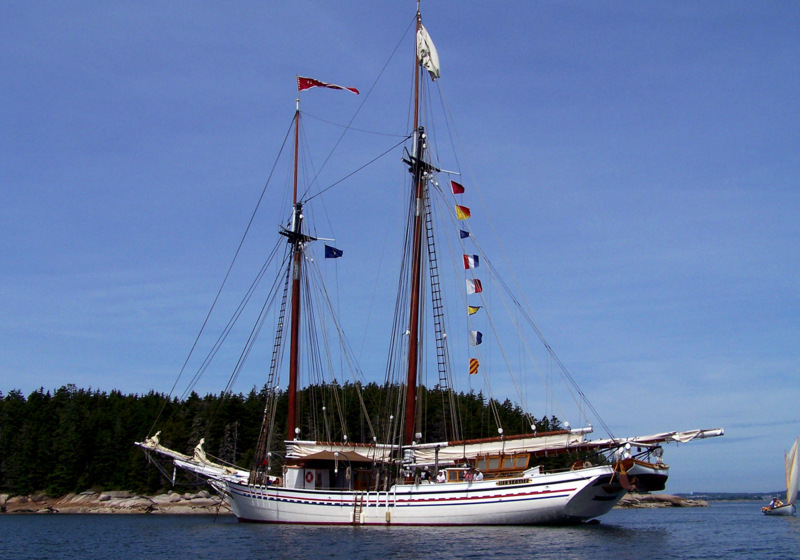 That unique experience was familiar to countless sailors when the tall ships ruled the seven seas – and now it can be yours to share by signing on for a cruise aboard one of Maine’s historic coastal schooners. The idea for our trip started at a breakfast discussion with friends at a nearby seaside restaurant. 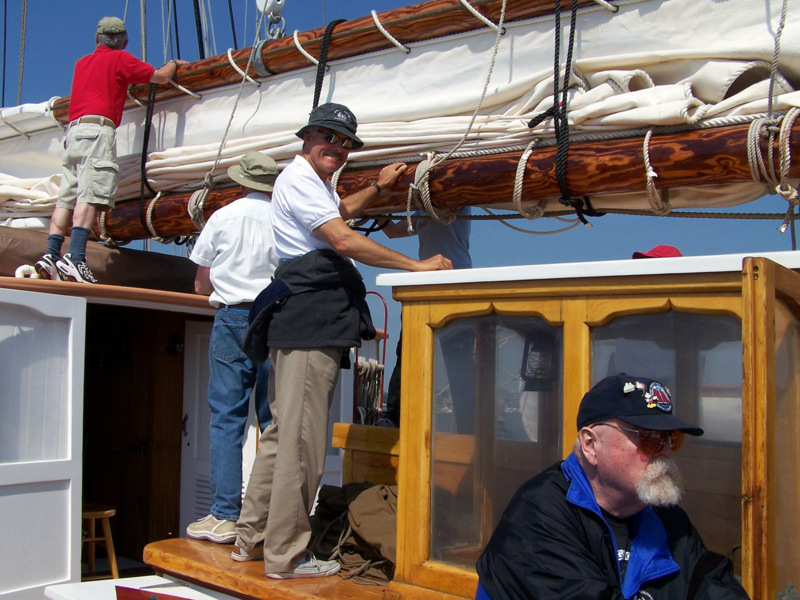 We all agreed that taking a holiday aboard a cruising schooner would be great fun. 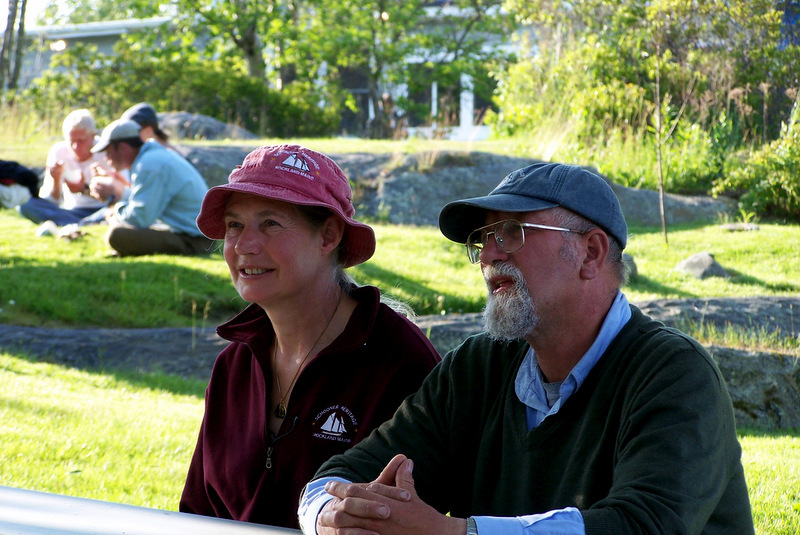 We had heard of the Maine Windjammer Association, and found their website at www.sailmainecoast.com. 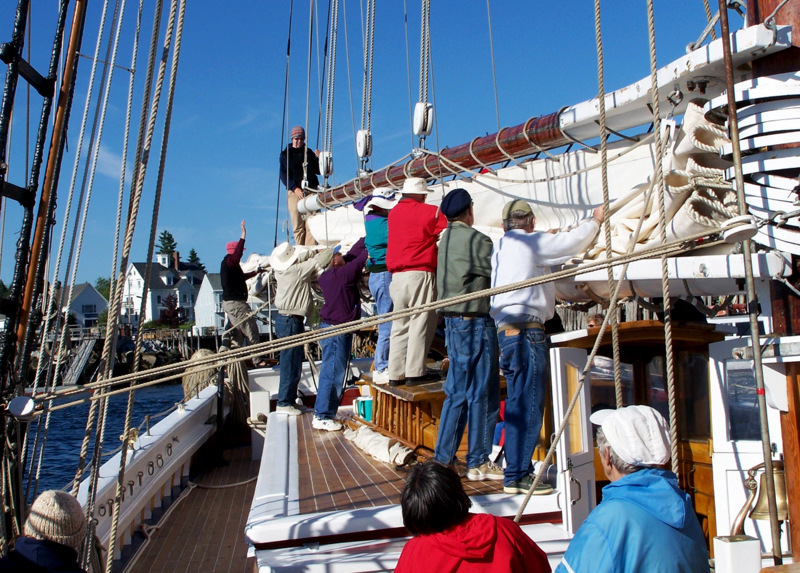 After some investigation, we decided a one-week cruise on the “Heritage,” one of the ships in the Windjammer Association’s 10-schooner fleet, would make a perfect holiday. A few weeks later, we flew to Portland, Maine and hired a car for the two-hour drive to Rockland, the home port for the Heritage. We arrived on Sunday evening, just in time to go aboard. Ready for our six-day sea adventure, we grabbed our gear and carefully walked down the aluminum gangway to the waiting schooner. Captain Doug greeted us, and told us where to stow our gear. After a brief discussion with Captain Doug, we were invited to follow a crew member below to see our quarters. We held fast to a shiny brass handrail and descending 15 steep and narrow steps to the cabin deck. 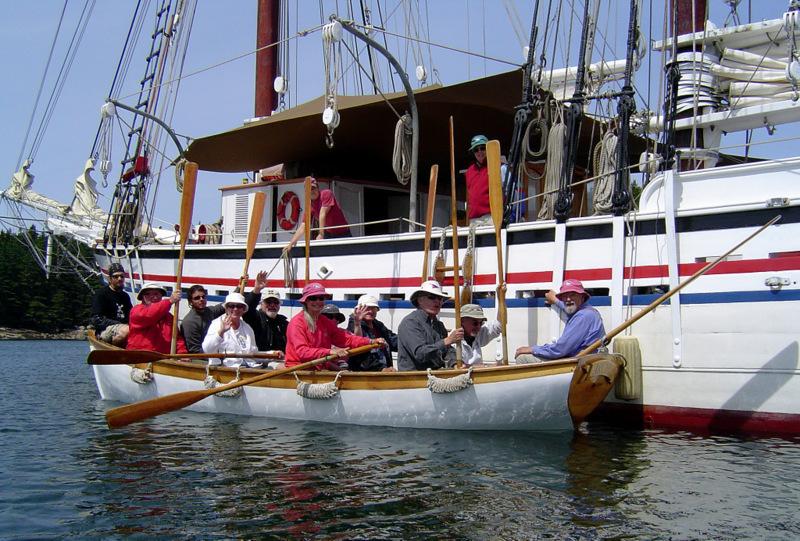 The Heritage has space for 30 passengers, and ample crew. 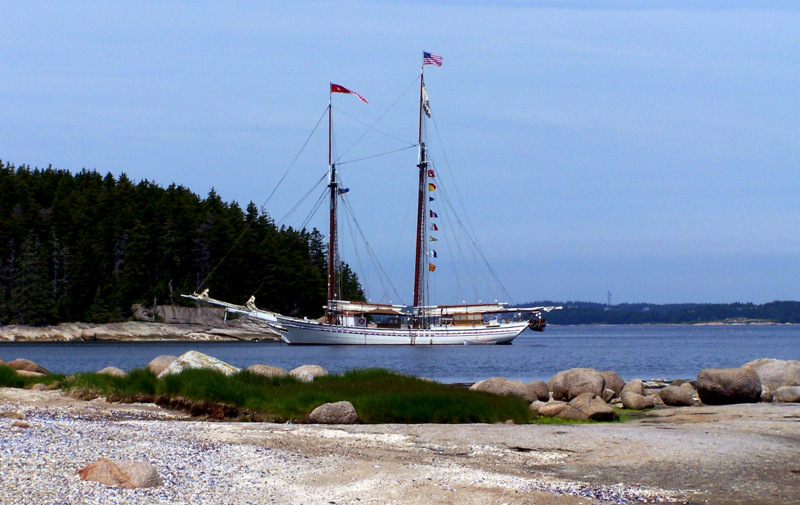 She is an authentic coastal schooner built with the passenger, rather than cargo in mind. 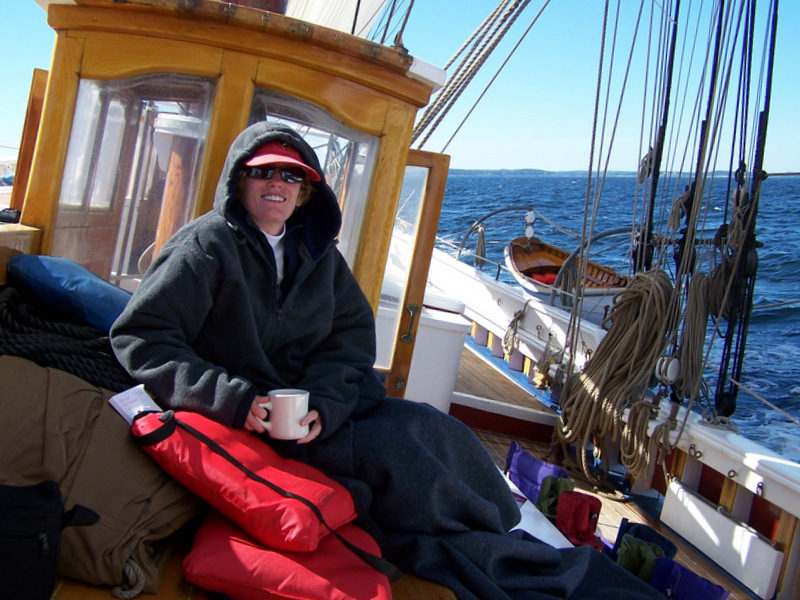 Consequently, she is on the high end of the cruising schooner ‘comfort’ scale. Returning topside, Captain Doug oriented the entire complement of guests on the ship’s safety features, the location of the three passenger heads (toilets), and the site of the ship’s single shower room and cozy galley/dining room with its wood burning stove. 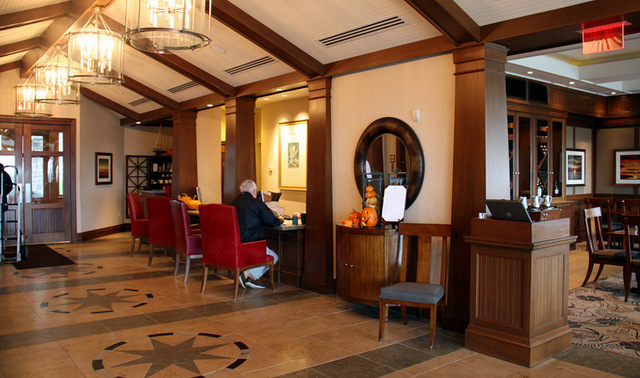 The Heritage is the brainchild of the two Captains Doug Lee and Linda Lee. Already seasoned masters while in their 20’s, the young seagoing couple decided to build their own large cruising schooner from the keel up. It took one year to plan, and four years to construct their dream. 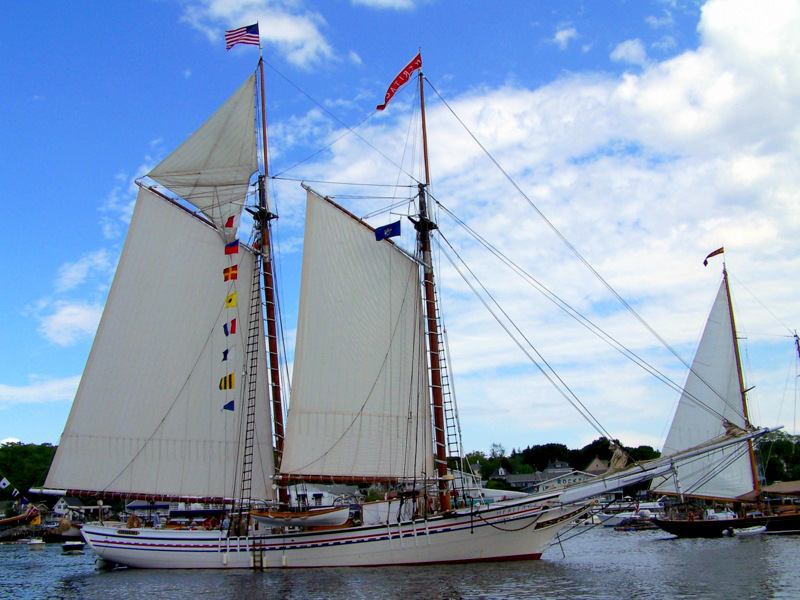 Launched with significant fanfare on April 16, 1983 at the historic North End Shipyard in Rockland, Maine, the 95 foot, 165-ton Heritage is now the second largest coastal schooner in the Maine Windjammer Fleet. 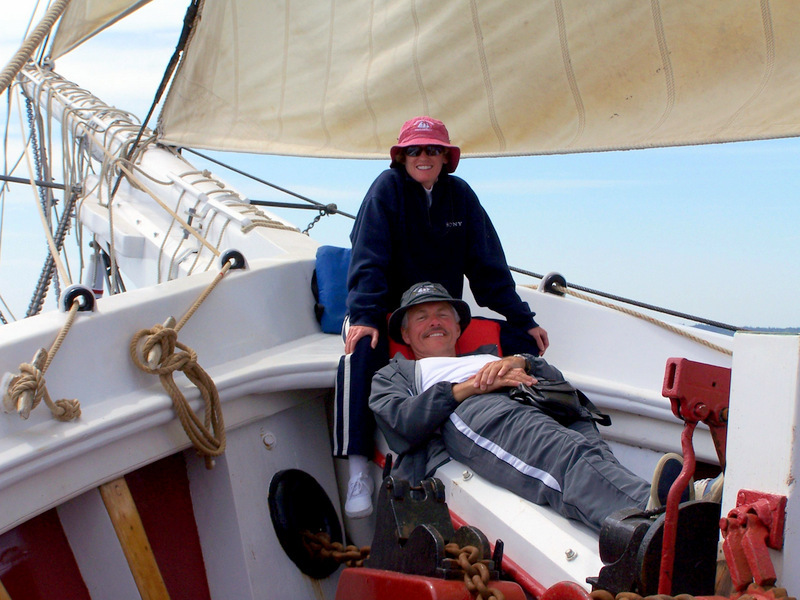 The Lees’ have been sailing the coast of New England for over 30 years. They are a virtual treasure store of nautical history and marine lore. 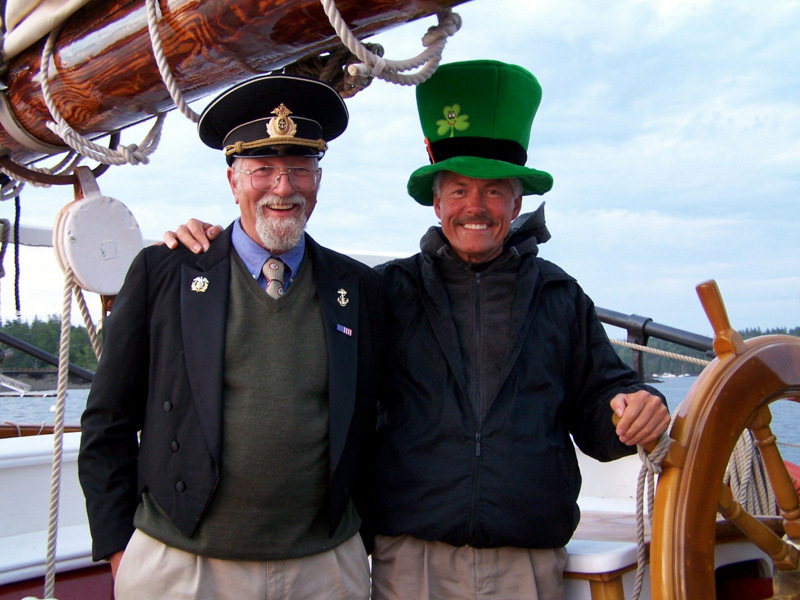 They are “sailing legends,” and with their heavy accents, never fail to entertain their guests with whimsical New England jokes, and interesting sea stories. 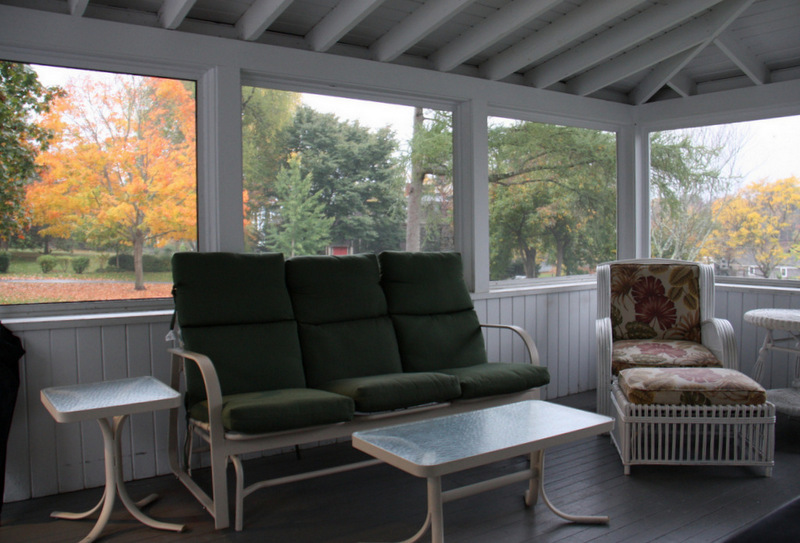 Small round skylights installed in the main deck floor just above each guest cabin provides light in the daytime. There are small electric lights for night reading. Converters are available for charging shavers, digital cameras and the like. 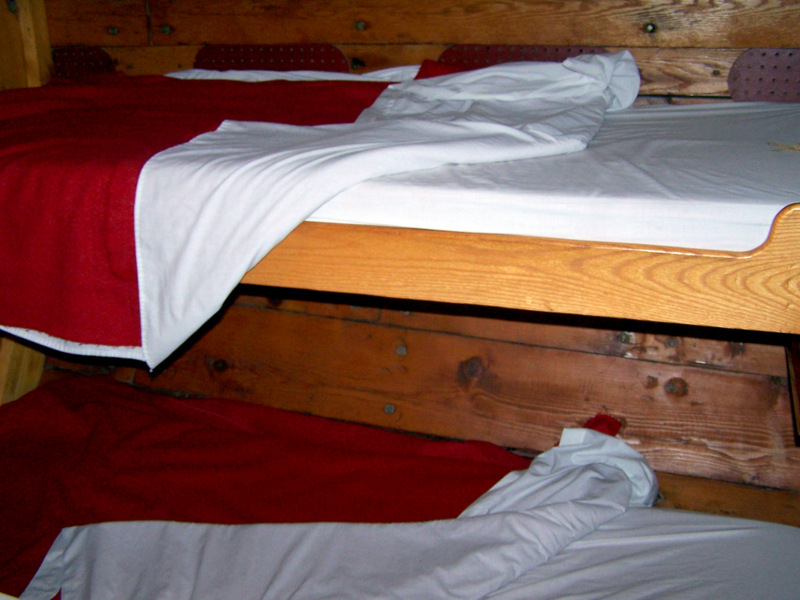 Several cabins have bunk beds, others a small double bed. Two cabins have private toilet facilities. There is enough head-room to stand upright in all the guest quarters, and each cabin has a small hot and cold water sink, and just enough room to store gear for a week of sailing. There are no TV’s aboard, so it is a good idea to pack a good book or two. We sailed with the tide early Monday morning. To get into the spirit of the voyage, the passengers are encouraged to participate in the first hoisting of the mains’l. Rope in hand, the crew leads in the seagoing pulling chant “…way haul away, way haul away together, way haul away, way haul away Joe.” It’s a very big mainsail, and before long everyone has caught on to the rhythm, and is heaving-ho and singing the melodic refrain as the huge gaff works its way up the mast. By the end of the first day, the crew makes certain that you have a working knowledge of the nomenclature of the various parts of the ship. From that point on, the crew and the turn-of-the-20th century gas-powered donkey engine took over the daily tasks of lifting the anchor and hoisting the sails. However, any passengers wanting to experience the daily rigors of able-bodied seamen are allowed to continue to help the deckhands and galley crew. Surprisingly, many continued to volunteer for the work. 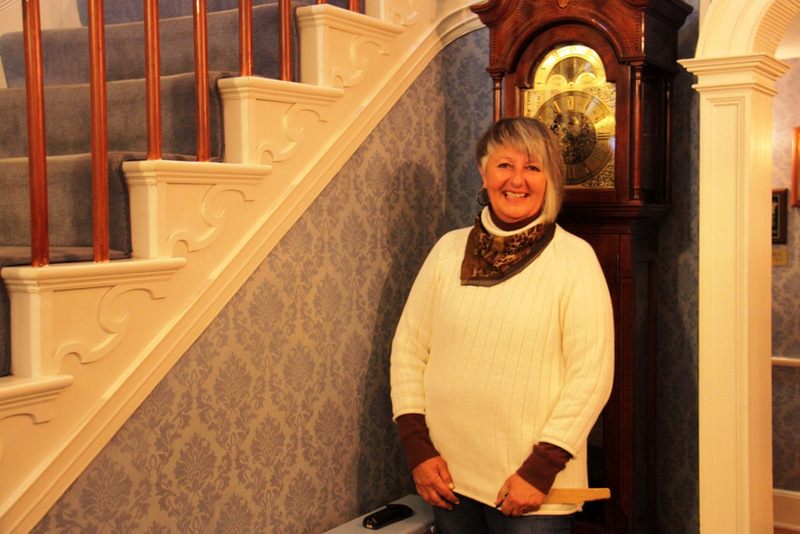 The ports of call for each cruise are different depending on the prevailing winds and weather – and what events may be taking place along the coast of Maine. Most weekly cruises cover approximately 125 nautical miles, and all sailing is done in daylight hours. 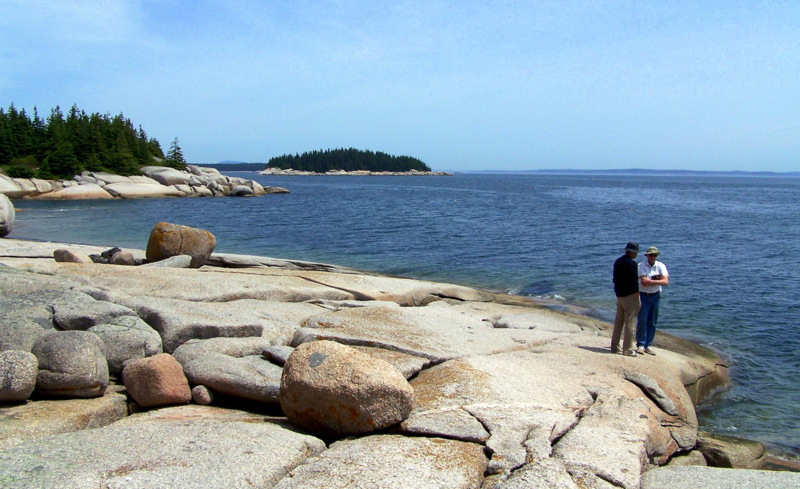 There are some 3,000 rocky islands off the coast of Maine, and each night the ship is comfortably anchored in a quiet cove near some remote spruce-capped granite island, or in a charming harbor near a seaside village or town. 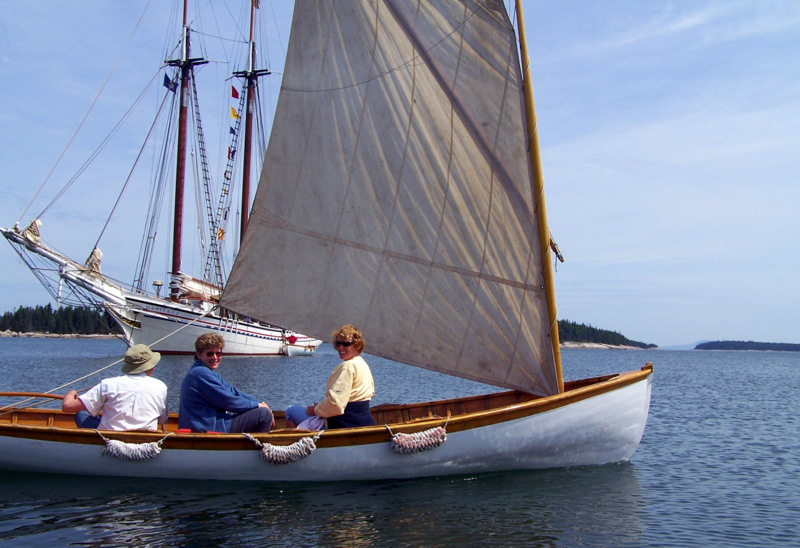 Access to the islands and ports is always available by ship’s skiff and Captain Doug’s personal 12-foot sailboat that has been in his family for 40 years. There are photo opportunities at every turn of the helm. The islands are rich in color, and the sunsets are spectacular. 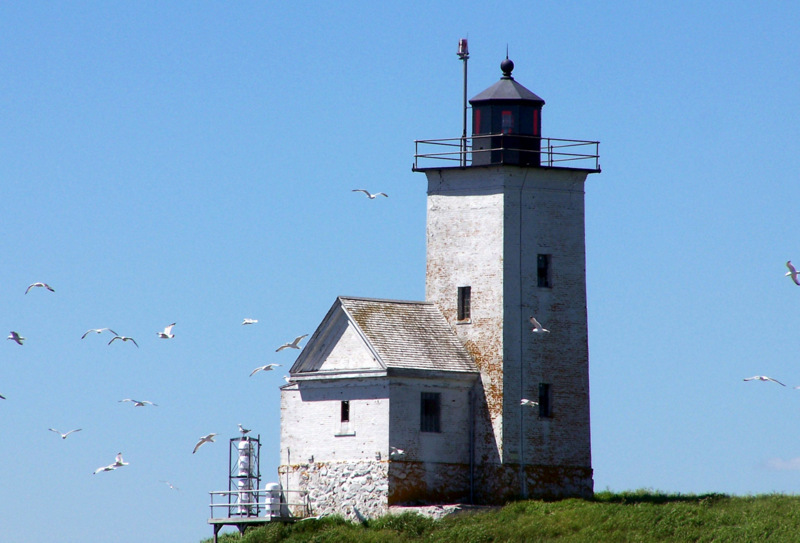 Lighthouses glisten, and great birds and sea creatures are visible throughout the day. 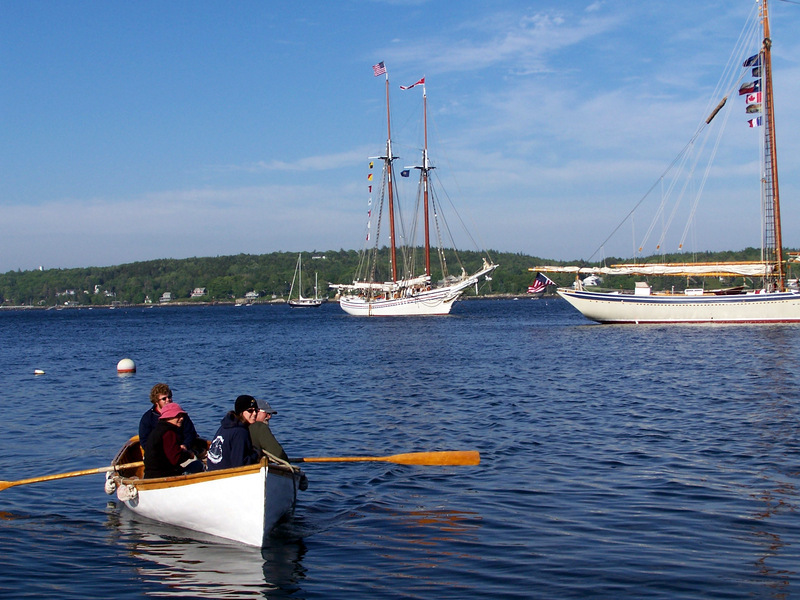 We were fortunate to book passage for the week that Maine celebrated its “Windjammer Days” in Boothbay Harbor. Several hundred small boats jammed the harbor as their occupants came to marvel over the beauty of the many tall ships participating in the annual festivities. The Heritage, moving into the congested port under billowing sails, was the grand guest, and the high point of the final day. Ship’s horns and blaring whistles welcomed her like royalty. 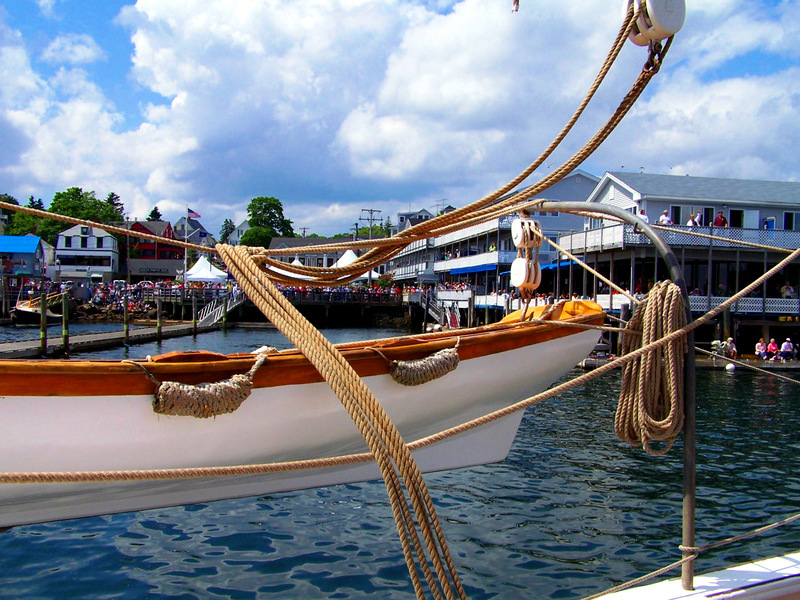 Just as pretty as you please, and without the benefit of power or pilot boat, Captain Doug sailed the mighty schooner into the bustling harbor. As the colossal Heritage came to rest, the crowd roared its approval and appreciation of the captain’s amazing display of seamanship in piloting the mighty ship to her place of honor. 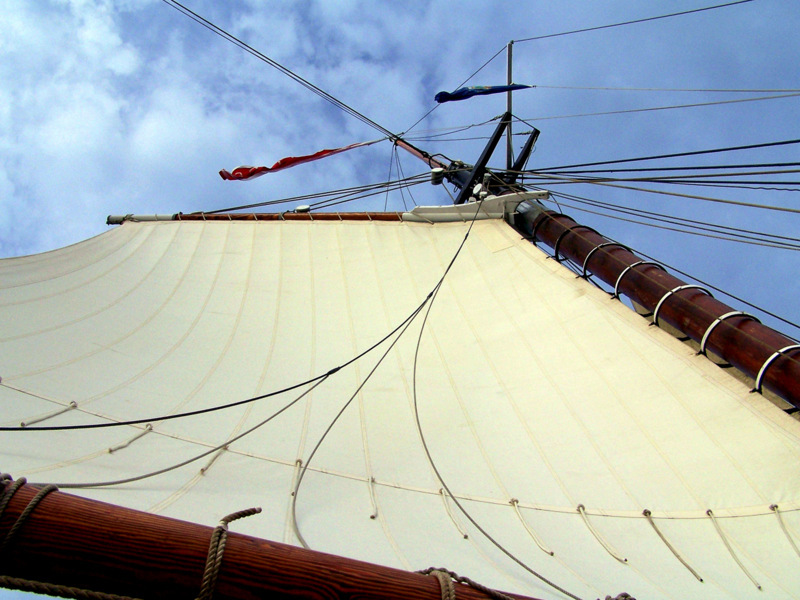 A windjammer cruise is much akin to camping with the addition of breathtaking sea views. ‘Luxury’ is not in the wind jamming ‘glossary of terms’. However, there is ample shelter, and the food is good and plentiful. 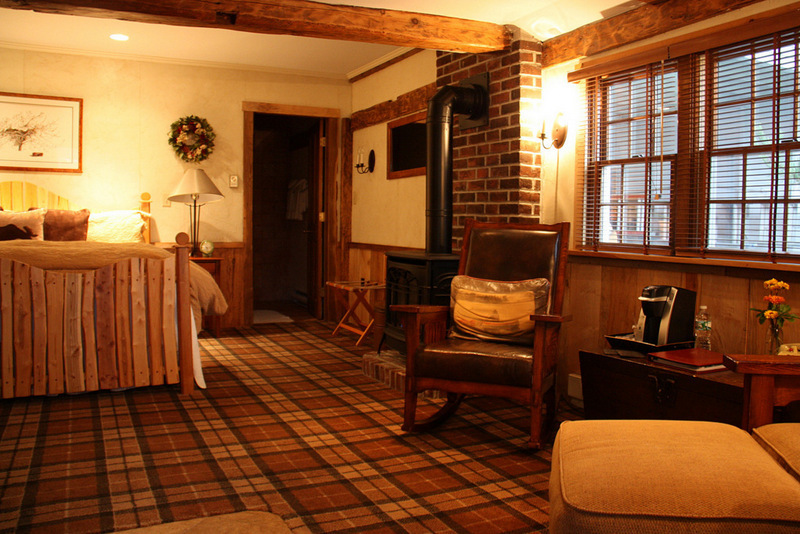 Meals are included and are greatly enhanced by homemade bread, and cookies fresh from the wood burning stove. 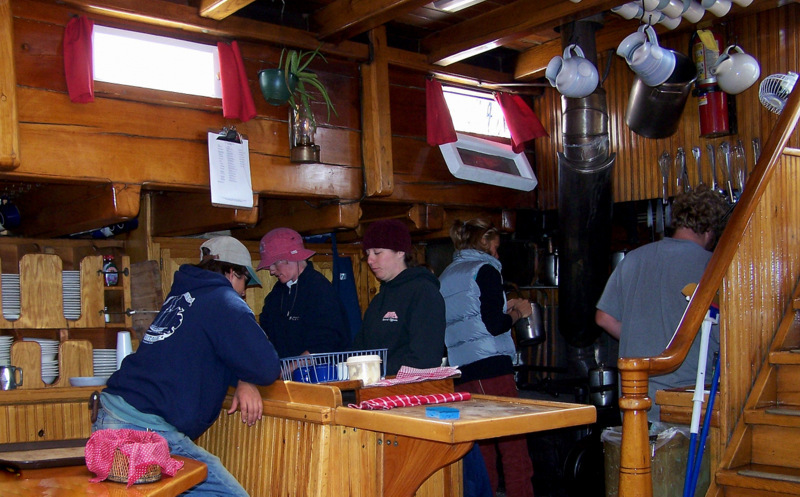 Weather permitting, many meals are served buffet style on deck even while under sail – and sometimes enjoyed at a noticeable list to starboard or port. The gastronomical highlight of every cruise is the “lobster bake.” This is an all you can eat lobster and corn-on-the-cob extravaganza prepared by the crew on the beach of one of the islands. 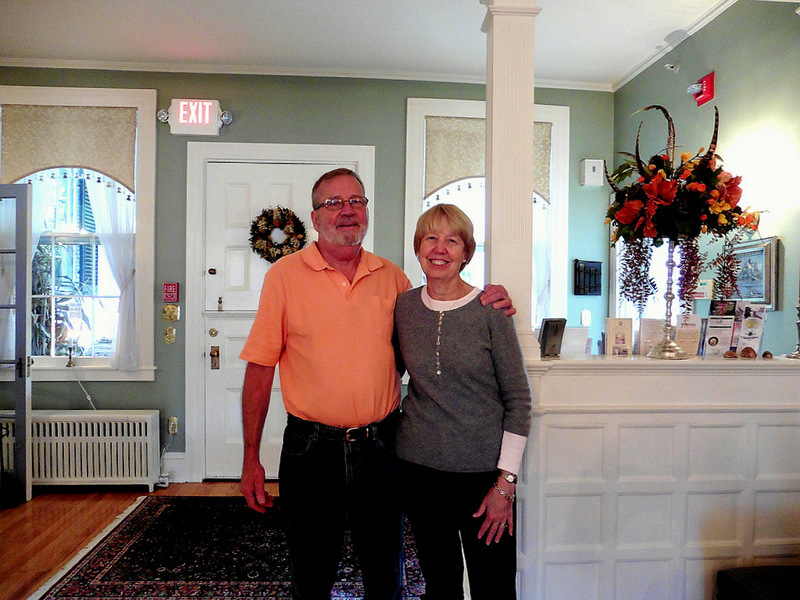 Doug and Linda boast that over 60% of their annual passengers are returning guests. Out of the 19 passengers on our voyage, only four of us had not previously sailed on the Heritage. In fact, several couples had been aboard for more than 10 cruises. 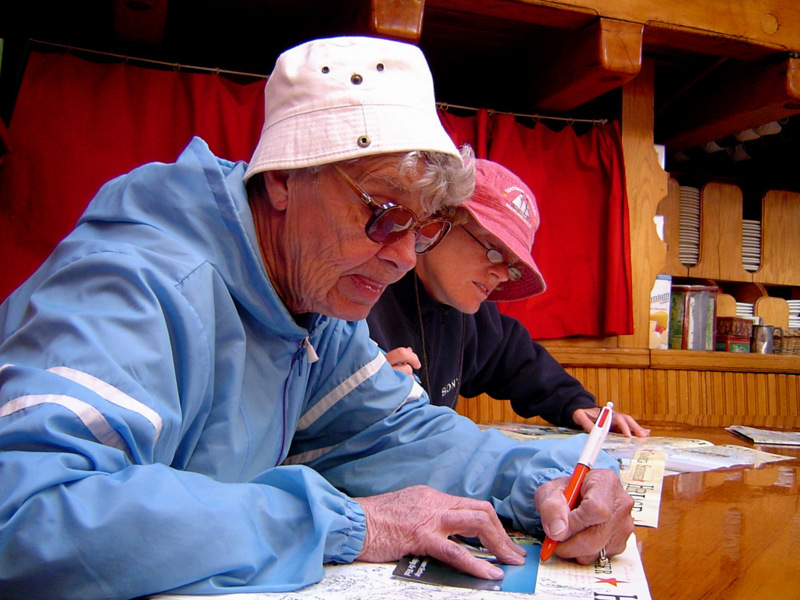 Our fellow guests ranged in age from their mid-30’s, to one couple in their early 80’s. Vacationers seeking a real-life adventure; sailors of small boats who love the tall ships and are keen to hear the howl of the wind in the gigantic sails – and ordinary landlubbers who are ready for a week full of fun and the occasional thrill of a deck awash in salty brine. If you are reasonably fit, and want a vacation that is truly out of the ordinary, a windjammer cruise is worth considering. It is like no other vacation on earth – or sea for that matter. 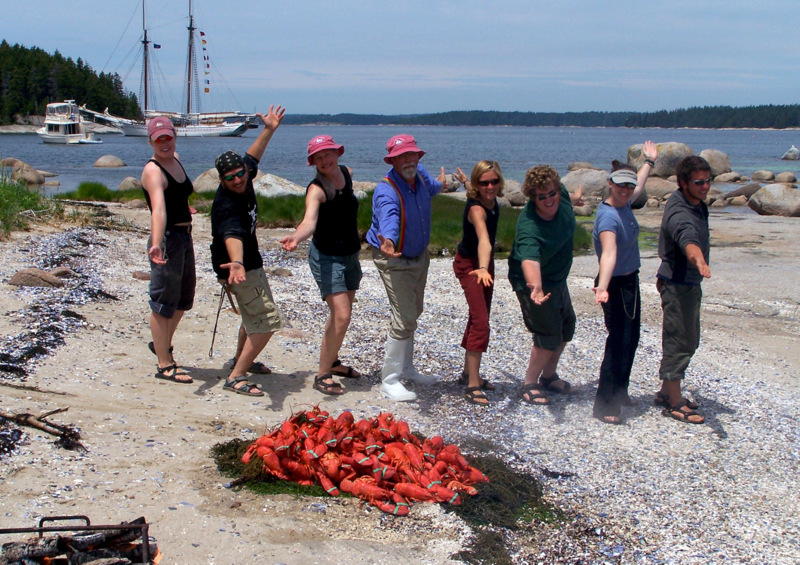 Rockland, Maine is home to the famous lighthouse and where you board the Heritage. It is a 78-mile drive along scenic Highway 1 from the Portland Airport.